Don’t you just hate it when everyone lives happily ever after? Movies are supposed to be reflections of reality, which is not always rainbows and smiles. But, for better or worse, we all just love watching uplifting, thrilling and heart-wrenching stories about the human experience that somehow all works out for the main characters in the end. That’s where these specific films stand out. We meet them, we grow attached to them, and they are ripped away from us. These are the tragically fated main characters who are unceremoniously offed in films. And just when we were growing accustomed to their faces. 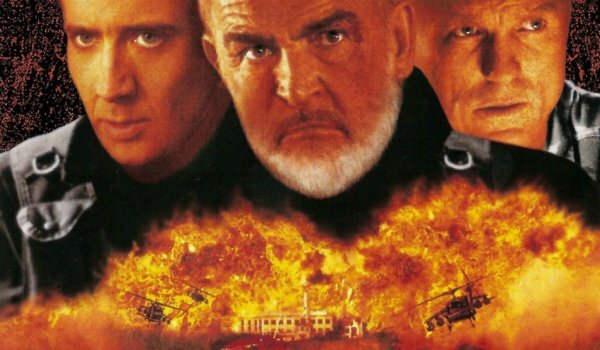 There are films, like the recent San Andreas, with a lot of implied deaths; there are the films where everyone but the main characters bite the dust; and then there are the ones where no one is safe. That’s what makes them exciting. Here’s to the films that kill off most, if not all, of their main characters and keep us all on our toes. Key Characters Who Die: Mr. Boddy, The Cook, Yvette, The Cop, The Motorist, The Singing Telegram Girl, Wadworth (sometimes). Why It Works: While the board game on which the film is based has Mr. Boddy as the only casualty, the Clue movie sees a lot more bodies dropping like flies. 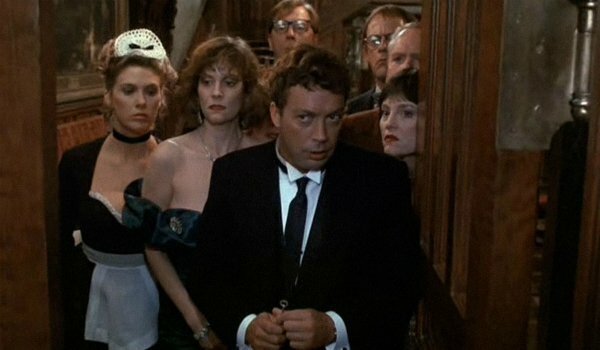 Layering alternate ending after alternate ending on top of each other ups the stakes considerably, and though the murderer changes constantly, the same half-dozen will not walk out of that mansion alive. The audience comes for a murder mystery and is treated to three. It takes a pretty straightforward film adaptation of a board game and makes it much more interesting. Key Characters Who Die: Captain Billy Tyne, Robert "Buddy" Shatford, Dale "Murph" Murphy, David "Sully" Sullivan, Michael "Bugsy" Moran, Alfred Pierre. Why It Works: People already know what’s in store when they watch The Perfect Storm; it’s in the title. But they don’t know how it’s going to end. 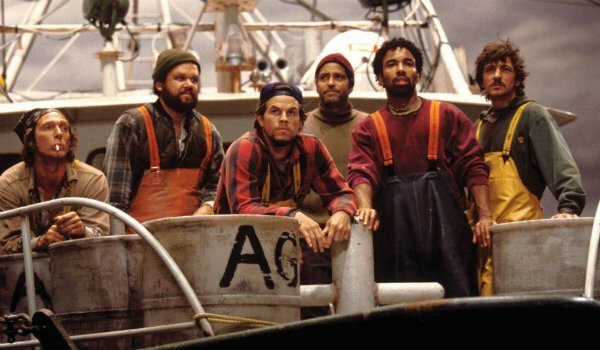 After the crew of the Andrea Gail went through hell on the high waters, viewers shared in their hope that they would make it home to their loved ones. When the final wave came crashing down, however, we were faced with the harsh reality, which was made more empathic through the deaths of the entire crew. Even if one person had survived, it would’ve lightened the emotional load. Why It Works: Chances are if it’s Leonardo DiCaprio in a Martin Scorsese movie, something terrible is bound to happen to his character. That said, no one was expecting the twist ending that saw pretty much everyone you care about, including Matt Damon’s Colin Sullivan, get offed. Where Clue’s killings raised the level of intrigue, The Perfect Storm’s did it for emotional effect, The Departed brought in the shock factor. 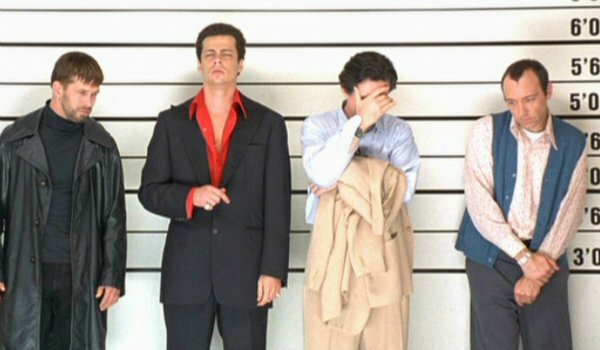 Why It Works: The ongoing mystery of The Usual Suspects is, Who is Keyser Soze? All the casualties that came in an attempt to solve the mystery had to occur to serve the greater purpose: feeding this mythic man’s infamy. With each kill, it raises his level of mystique, and when most of the main characters meet their end in the final boat fire shootout, the despair sets in. When once we thought we had all been so close to discovering the man, here he comes to wipe out most of the key players. But it makes the final reveal of the man behind the name more jaw-dropping; the guy who’s been killing and covering his tracks left and right has been sitting in front of us this entire time. 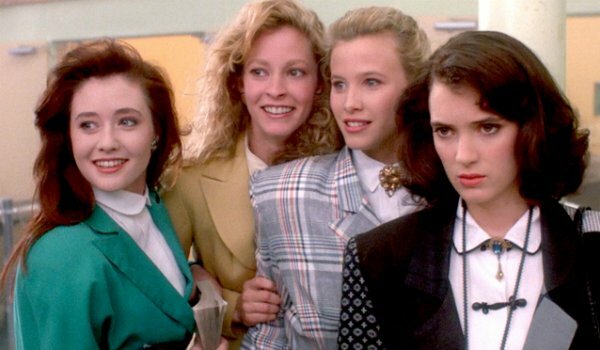 Why It Works: Dark comedies are a special breed, and Heathers is a classic of the genre. The deaths of the lead Heather and the gunning down of the school’s two main bullies are unsettling but necessary juxtapositions to the perfect image of suburbia. Dean’s last explosive stand, which leaves Veronica charred, smoking a cigarette and going off to spend time with her real friend, drives the message home: high school can be a tortuous time on which you don’t have to look back. Why It Works: No one is safe in Scream. That’s the message we get when our first anchor to the film is brutally stabbed to death after witnessing the slashing of her boyfriend. By the time the credits roll, only a handful of the main characters are left standing to tell the tale of this bloodbath. 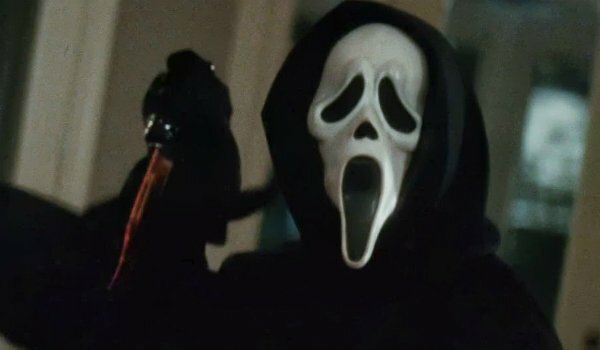 Scream is by no means the only horror film to kill off the vast majority of its characters, but it’s a classic that influenced the slasher genre moving forward. 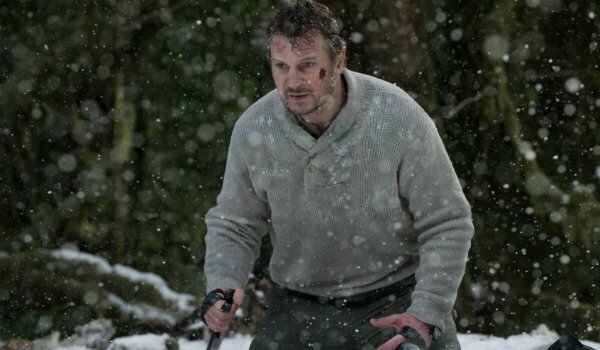 Why It Works: Horror films have their cliches, but The Cabin in the Woods delights in them. There’s the "whore," the "athlete," the "scholar," the "fool" and the "virgin," and more then half of them always die. Heck, we expect this going in, but the film by Drew Goddard and Joss Whedon delightfully (and horrifically) bathes in the stereotypes to poke gun at the genre and offer audiences something new and unexpected. Simply addressing the absurdity brings us all in on the joke. 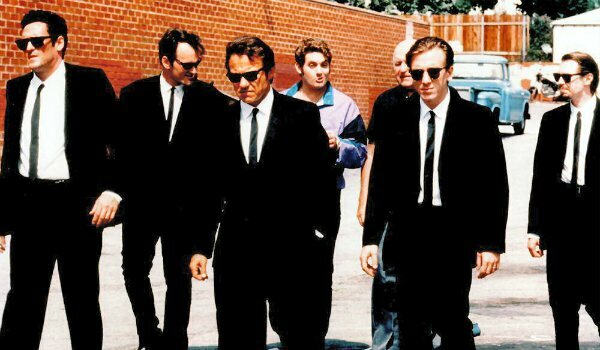 Why It Works: When Reservoir Dogs was released at the Sundance Film Festival, New York Daily News critic Jami Bernard said the audience reacted to the film in a similar manner to those who first saw 1895’s L'Arrivée d'un Train en Gare de la Ciotat. The film is rooted in an urban legend that states the audience, overwhelmed by seeing a fully sized train coming at them, scrambled to get out of the way. In a similar fashion, audiences at Quentin Tarantino’s screening were not prepared for the deaths of mostly all of the characters. 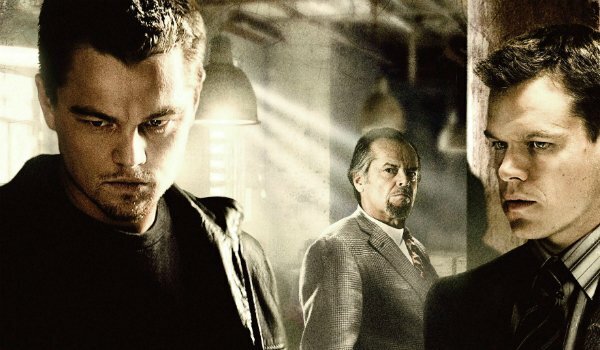 But, much like how only code names were used and the non-linear storytelling prevented us from seeing what happened during the bank heist, it further goes to prove that we didn’t know these men as much as we thought we did. Why It Works: Though The Grey begins with a somber note — John detailing his plans to commit suicide in a letter to his wife — the film is about perseverance. After the plane crashes and the remaining survivors are sitting around a fire, John admits that he’s atheist but that he wishes he could believe. Despite his earlier action, it seems that he still wants to live, and each death that slowly brings him closer to isolation is a test of his will to live. When he’s finally left alone, it’s clear that he’s not ready to let a pack of wolves devour him. Why It Works: If the stakes weren't high enough when General Hummel and his team of army men turned mercenaries held Alcatraz and the entire city of San Francisco hostage, they got higher after Hummel was killed. He had a change of heart, but when his men realized they wouldn't get their money, they gunned him down. After all the work Goodspeed and Mason went through to change his heart, it was all for nothing.